Well put together, but does nothing particularly new or exciting. Time to put Annabelle back in the box. We know, reader, that your nights are spent languishing in a tortured reverie. 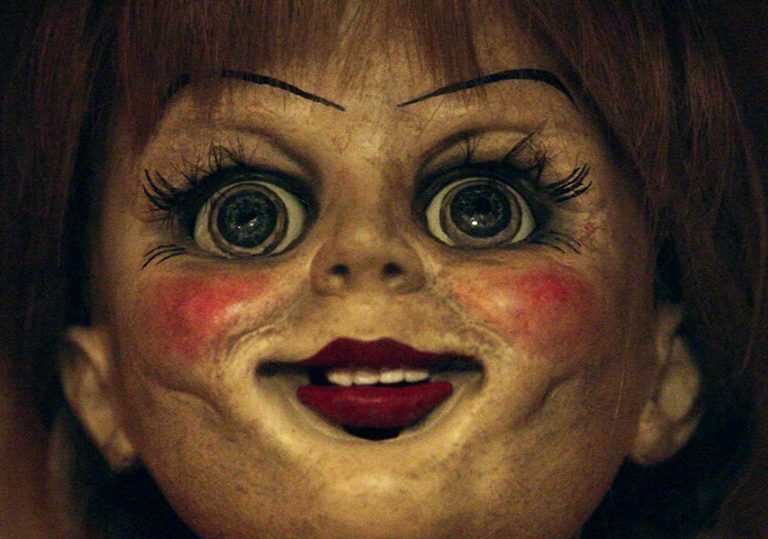 You toss and turn in your beds, dappled with sweat and demanding clarity on where evil movie doll Annabelle (star of Annabelle) originally hailed from. In David Sandberg’s workmanlike Annabelle: Creation, the answer to all these questions and more are resolved. During the film’s opening credit sequence, we even get to observe as the humble artisan toymaker lovingly fashions this devil doll with utmost precision, unaware that she will be playing an important part in his life (and death) in the ensuing years. Anthony LaPaglia and Miranda Otto play Samuel and Esther Mullins, the God-fearing parents to lovable knee-high scamp, Annabelle (Samara Lee, not the doll) who bites the dust in brutal fashion when she stumbes into the road and is clipped by a passing vehicle. Twelve years later, Samuel has now opened up his vast estate to be used as an orphanage for girls. Esther lays in bed, behind a veil and locked door, hidden away from prying eyes. A new clutch of kids roll into town, and it’s not long before floorboards are creaking, light bulbs are blinking, doors are moving of their own volition and it’s clear that evil hangs thick in the air. There’s a certain robust, no-frills quality to this passible haunted house chiller which plays everything as straight as possible. The lack of irony certainly helps to up the emotional stakes, as you do feel for the screaming damsels as they their irrepressible curiosity often gets the better of them. Talitha Bateman’s hobbling Janice is left alone as her pals frolic in the fields outside, but at night she manages to shuffle into Annabelle’s old bedroom, awaking a dormant satanic evil that was cloistered in a cupboard wallpapered with pages from the Bible. Sandberg whips up a couple of mild scares as proceedings gravitate towards a predictable resolution. Yet the film is at its best when the camera is pointed directly at the static, perma-grinning Annabelle doll who appears to move between the edits. It lends the film an edge which nudges it just above similar genre fare. Fede Alvarez serves up a genuinely chilling home invasion thriller from the very top drawer. 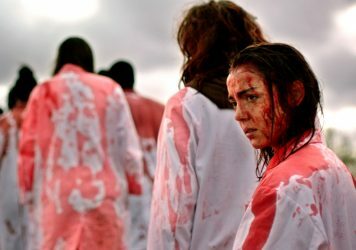 ’Tis the season for great horror movies, so don’t miss this creepy corker from Australian director Jennifer Kent.